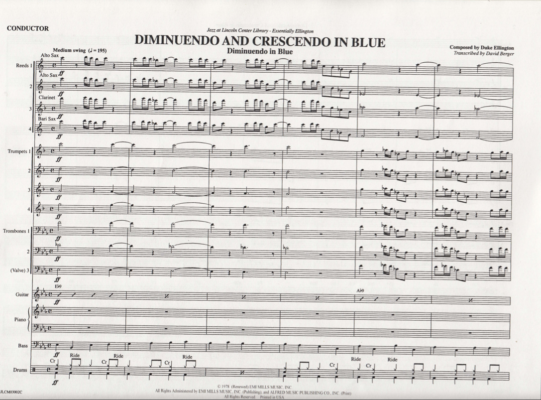 On Friday we will dive back into large ensemble voicing, first by revisiting “Diminuendo and Crescendo in Blue” by Duke Ellington. 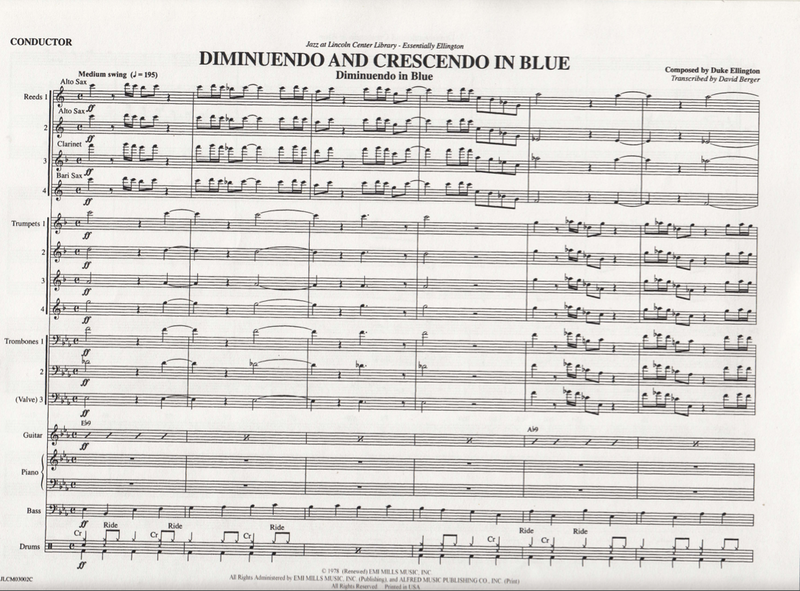 Duke’s work in the mid 1930’s predicted and influenced the “modern” big band arrangers. 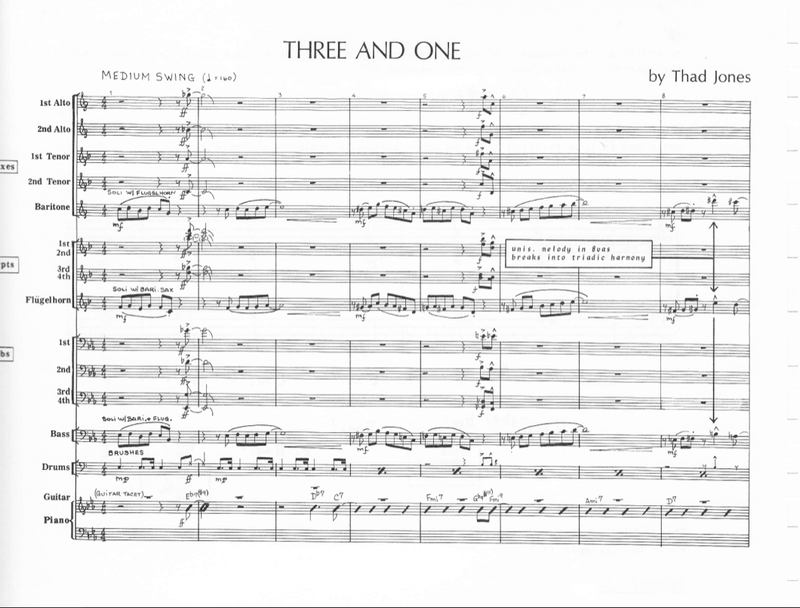 Then…it’s Thad, Thad and More Thad (Jones, that is)…this time with an emphasis on jazz theory and harmony. His style fulfillment of the Old Testament Swing Era prophecy. This new sound is rich with thick harmony and intense harmonic movement…and impeccable voicing and balancing technique. 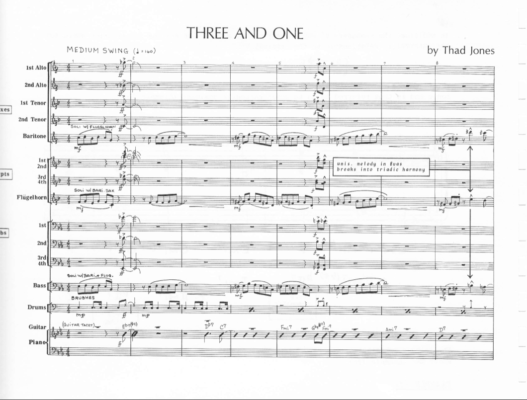 We’re going to see lots of “college chords” and some challenging jazz theory – we will refer to examples from “Inside the Score” by Rayburn Wright.